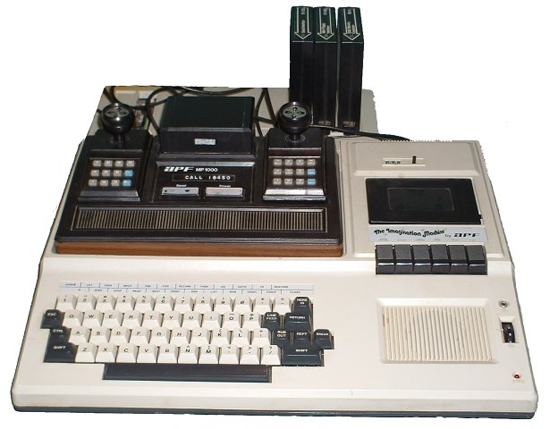 The APF Imagination Machine was a hybrid console and computer system which was released in 1979. It was one of the most expandable systems which was released in that era. The games console was called the APF-M1000. 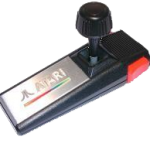 It was a cartridge system which had two wired controllers attached to it. Each controller had a numeric keypad and a joystick. It also had a built in game called Rocket Patrol. The computer part of the system was called the Imagination Machine. It could be purchased as an add on for the APF-M1000 though most people purchased both the console and the computer together (for around $700). The computer had a full keyboard, a cassette tape and an internal speaker. It also used it’s own operating system and came with a BASIC compiler. The Imagination Machine was incredibly popular amongst budding programmers, in part due to the price of the system compared to alternative options available at the time. Though it was also because of the versatility which peripherals added. Users could purchase a floppy disk drive, a mini floppy disk drive, an 8k RAM cartridge to increase RAM to 17kb, a RS232 storage cartridge and a telephone modem too. The APF Imagination Machine was powered by the 8-bit Motorola 6800 CPU, which was clocked at an impressive 3.579 MHz. It had 14kb of ROM and 9kb of RAM, though this could be expanded to 17kb. A Motorola 6847 Video Display Controller helped the system achieve a resolution of 128×192 pixels with 8 colours or 256×192 with 4 colours.